China Sky One Medical’s (CSKI.NASDAQ) shares have taken one of the most dramatic dives recently seen on NASDAQ, losing about 75% of their value in the last year. The company has consistently reported fat margins and a head-spinning turnaround time for inventory. These impressive financial results, when combined with its long line-up of dubious auditors, have aroused the suspicion of short-sellers. Short positions have slashed the company’s share price, and they are now equivalent to around 20% of its public float. China Sky One Medical operates in a promising market – total sales from traditional Chinese medicine (TCM) products grew 27% to US$33.1 billion in 2010. However, investors should continue to be cautious about this stock. For one thing, our research confirms that China Sky One Medical’s margins are suspiciously high. The company reported a gross margin of 72.9% in 2010; that compares to an average of 45.5% for 27 China-listed TCM companies, according to data from Qilu Securities. Yanqing Liu, the CEO of China Sky One Medical, told China Economic Review that its hefty margins are the result of its in-house herb farm: The company can obtain raw materials from the planting area at a lower cost, as well as exchange the herbs with other TCM producers to acquire the materials it needs. But a comparison with the company’s close competitors indicates this argument does not hold water. Tonghua Golden Horse and Guilin Sanjin, which have similar product lines to China Sky One Medical, both own large herb-planting bases. Tonghua Golden Horse’s average gross margins were 60.1% in the past three years, around 16.4 percentage points lower than those of China Sky One Medical. Guilin Sanjin’s gross margins were almost as high as China Sky One Medical’s, but Guilin Sanjin spends far more on advertising – about 16% of sales revenue between 2008 and 2010 – and has better product recognition as a result. That brand was well known among the customers and pharmacy counter staff we interviewed, whereas few knew of China Sky One Medical’s brand. A vice president of Sky One Medical, who gave his name as Yan, told China Economic Review that the company spent US$16.31 million on advertising in 2010, mainly marketing itself through posters and events like exhibitions – channels that are inferior to television in both audience reach and effectiveness. Companies that are able to sustain higher-than-average gross margins in the long run tend to have unique products, according to a Changjiang Securities analyst surnamed Ye. This is often the result of access to a rare natural resource or undisclosed formula. For example, Tibet Cheezheng Tibetan Medicine had the highest gross margins of any listed company in 2010 (74%), partly due to its ownership of unique medical compounds from Tibet. China Sky One Medical cannot claim any similar advantage. None of the company’s main products – including camphor cream, patches for pain relief, weight loss and anti-hypertension, and eye drops – is unique in terms of effect or material. The company has also reported other suspect figures: In 2008, its figure for inventory turn-around, days inventory outstanding (DIO), bottomed out at 6.79 days per year, far below the average of supermarket and convenience stores chains. Its DIO has lengthened since then, but the company still claimed to be turning over inventory nearly seven times as fast as domestic competitors, according to Ms Xu, an analyst at Dongwu Securities. 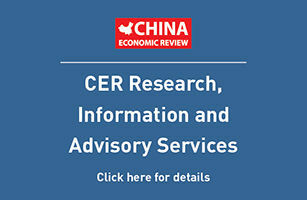 Research by China Economic Review also casts doubt onto China Sky One’s claim that its distribution network covers all of China’s major metropolitan areas and, consequently, its impressive annual revenue figures. A significant number of the pharmacy chains we contacted did not carry or had not even heard of the company’s main products. China Sky One Medical’s management needs to provide investors a more detailed explanation of how it achieves such impressive operating results by spending little on advertising its brand and producing medicines that can be manufactured by many of its competitors. Until that day, we recommend investors avoid this stock.